Since debuting in 2006 with the acclaimed album Gulag Orkestar, Zach Condon and his band Beirut haven’t strayed far from the Eastern European and French influences that informed the project from its inception. Condon’s own trumpet and ukulele have provided the music’s backbone while accordion and brass arrangements filled out the songs, coming off as a travel diary bound by both sadness and wonder. Always present is Condon’s voice, fragile and untamed, warbling too prettily to be accidental. When combined all of these result in a band that is definitively itself, which after nine years of the project, makes it both brave and somewhat expected to try to change things on the band’s fourth full-length, No No No. The new album is the result of a musical crisis for Condon, following a time he felt like he had nothing left to write as a musician, worried that his creativity had abandoned him. The turning point, which is frequently mirrored in the album’s lyrics, was his finding peace in a new romance. Condon winds up cuing the brass and the uke less than ever, relying on live-off-the-floor recording of piano and percussion to move the songs. Everything appears streamlined, with the entirety of the album unveiled in half an hour. Where the adage “less is more” could be evoked, here less feels like less. At its best, No No No contains some of Beirut’s most accessible pop songs. Lead track “Gibraltar” drives with conga line-ready bongos, hops with a playful piano lead, and gets glued together in the chorus by a salt shaker and an overbearing handclap. 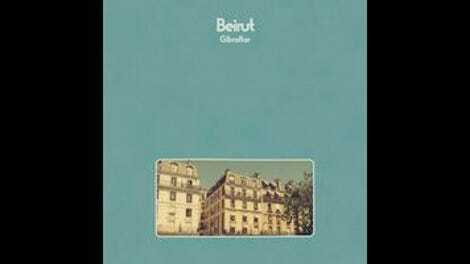 It’s as fun as anything Beirut has done, with Condon’s usually mournful vocals signifying something new, like the parting of a cloudy day. Mid-album, “Perth” works on a similar level, built on a keyboard groove that requires Condon’s voice to fill in less obvious terrain, the horns cued mid-song not serving their usual purpose to underscore Condon’s song’s emotional heft, but instead providing melodic relief. But where the album isn’t wrought with missteps, the overall effect is that it is slight. None of its nine songs top four minutes, including an instrumental, “As Needed,” that bisects the collection. Ultimately, the four-year wait since The Rip Tide comes across as the creative struggle of which Condon has spoken. The overall pleasantness of the bulk of songs only gives way to emotional complexity a couple times, most notably on the magnificent “At Once,” which features Condon’s band of horn blowers draping his canvas in straight-faced contemplation. 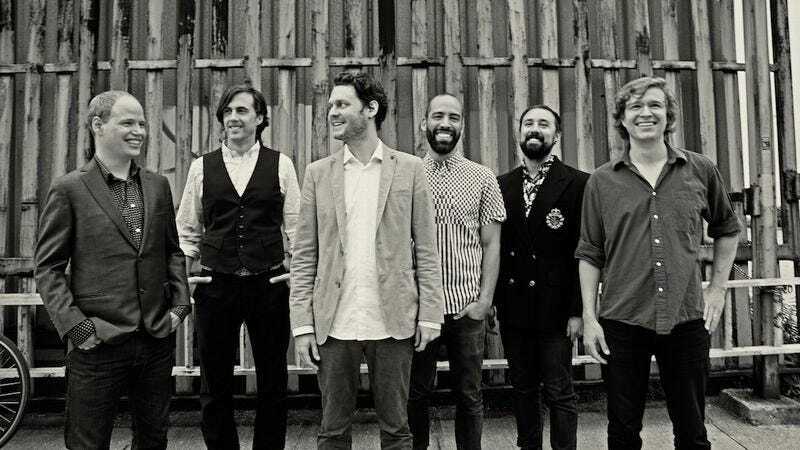 It’s what Beirut does the best, and when the horns return in similar force for the album’s big finish “So Allowed,” the realization is not that they were welcomely missed, but rather that the album needed a little more similar drama and immediacy.